While many factors contribute to safety on the road, driver health and fitness to drive is an important consideration. Drivers must meet certain medical standards to ensure their health status does not unduly increase their crash risk. 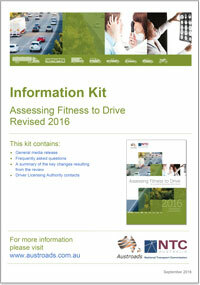 Assessing Fitness to Drive, a joint publication of Austroads and the National Transport Commission (NTC), details the medical standards for driver licensing for use by health professionals and driver licensing authorities. The standards are approved by Commonwealth, state and territory transport ministers. 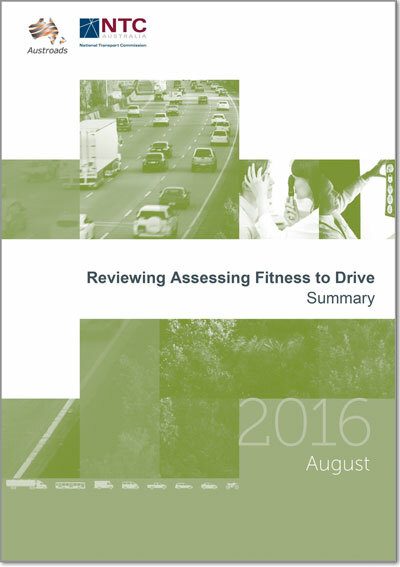 Assessing Fitness to Drive outlines the responsibilities of examining health professionals in relation to licensing. An overview of how the standards relate to private vehicle owners. An overview of how the standards relate to commercial drivers. An overview of how the standards relate to employers and heavy vehicle operators. Assessing Fitness to Drive telephone and email contacts for each state and territory. 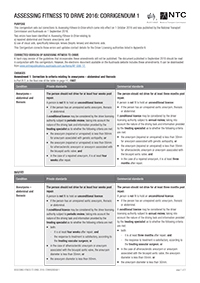 The updated driver medical standards contained in the latest edition of Assessing Fitness to Drive come into effect from 1 October 2016.